Auggie Talk: Interview with Gavin Heterington. Author of "Abyssal Sanctuary"
Interview with Gavin Heterington. Author of "Abyssal Sanctuary"
You got a quick peek at his book "Abyssal Sanctuary: Remnants of the Damned" last week through the giveaway. THANK YOU all who participated. Gavin has announced the winners! So let's get to know this horror author a little better, shall well? A prism of genres, Remnants of the Damned promises to be a truly different approach of a series of novels with one of the main characters being gay – a rare occurrence in a mainstream piece of literature in this kind of genre. In 2006, Gavin’s short story, titled “Vanquished” won a nationwide competition to be included in a children’s anthology of short stories. The book, Telling T.A.L.E.S. Adventure into Fiction, Vol. 1, was published on 30 November 2006. Gavin is gay and has never had a boyfriend, which he is grateful for as he wants his first boyfriend to be “the one”. Call it fictional but it’s true. Gavin loves film and scripted American television shows. His favourite films include the Harry Potter series, The Wizard of Oz, The Little Mermaid, Finding Nemo, Titanic and more. Almost every Disney animated classic and Pixar film, Gavin loves. His favourite television shows include Charmed, Desperate Housewives, Buffy the Vampire Slayer, Grey’s Anatomy, True Blood, The Walking Dead and many more. While writing, Gavin also has a part-time job at Greggs the Bakers in Gateshead. Gavin attended Gateshead College from 2008 to 2009 before dropping out after feeling lost during a course change in the second year. Gavin returned to learning in September 2013 when he enrolled at Newcastle City Learning and will attend University in Fall 2014. 1. Why did you choose horror as your break-out genre? To be honest, horror was the last genre I wanted to break into when I was growing up and I had this idea of being a writer in my head. Scary movies would literally keep me up half the night crying. I'm ashamed to admit it but even the parody "Scary Movie" had me crying half the night when I was 8. "Jaws" gave me nightmares for around three months when I was a kid after I accidentally watched it at a friend's house. So really, horror was the last sort of genre I ever wanted to write. As I've grown up and I've done other writing projects, I have come to like horror. I'm a big fan of horror movies now and I love it when books can scare me. I don't think there's any better way for a writer than to make the reader feel something when they're reading your book. Fortunately people have said they have been creeped out and scared by the book, so I'm doing something right at least. 2. Do you enjoy horror novels yourself? Who is your favorite horror author? I don't read as much horror as I do other genres such as fantasy and young adult and I don't think there are very many horror novels out there that also mix in that fantasy and younger adult appeal. That's one of the reasons why I started writing the Abyssal Sanctuary series. Of the horror novels I have read, they have mainly all been by Stephen King. Sorry for the cliche answer, but he is a big inspiration to me. I should be jealous of his success, but I just use that as inspiration and motivation to hopefully make the horror genre proud. Also, one of the scariest novels I have read was by Richard Matheson called "Hell House". I want to read more scary stories but I just love fantasy more. 3. Did you ever creep yourself out while writing your book? All the time. I prefer writing in the dead of night when everybody is in bed and I can have that peace and tranquility to write without getting interrupted. That's also a bad thing when you're writing a horror novel. I get so many ideas, especially from dreams and nightmares, and a lot of those ideas terrify me so I decide to add them in the series. I just recently had a nightmare the other night that actually woke me up after something very sinister happened and I'm going to include that in the second book. Not only do I creep myself out, but I then get excited thinking "I really hope when people read this they will be creeped out too" and I think they will with that nightmare I had. I'm still kind of shaking haha. I usually plan the chapters to the finest detail but sometimes as I'm writing, my head goes in a different direction and sometimes I surprise myself at some of the things I come out with. I did that a couple of times with the first book. 4. What inspired you to write this story? I've always had this over-active imagination and being an author has been a dream of mine since I was a young boy. Before 'Abyssal Sanctuary' I was writing a sort of Harry Potter meets Charmed story about a girl named Lucy Knickleback and her three best friends as they grow up as witches. Reading it back, the story was absolutely rubbish and the writing left much to be desired. I just had to have an idea for a book series just to try and help my dream of being an author, and finally Abyssal Sanctuary came into my head. It used to be called Urban Legends and was an almost completely different story, but the foundation and the characters have always been in my head since. My passion for writing and ambition to become an author fueled me along, and I only wanted to become a writer because of the Harry Potter series. I looked up to J. K. Rowling from her very first page and I wanted to be like her. I wanted to create a story that people would love, and I guess the inspiration from J. K. Rowling helped push me to acting on that. The story changed so often over the course of many drafts and every time I finished a draft, I'd realise I didn't like it, so I had to scrap it and start again with different ways to approach the story and different storylines and things like that. The final story that is in the published book looks nothing like the story I began with. I wanted to do a story about five college kids as they are faced with several urban legends and they had to overcome them. That kind of idea was inspired by the TV series 'Supernatural' and the fact that urban legends terrified me also wanted me to incorporate them in the story. Then I realised so much had to change after that first draft and the story wasn't good at all, so I stripped the whole urban legends thing and made it a story about these five people who have people out to get them and it would play like a mystery because we wouldn't know why until later on. Most of the story developed as I went along and new ideas came to me. I just wanted the published story to be perfect so even if I was happy with a draft, but not 100% happy, then I'd still scrap it. When I was growing up, I used to be afraid of dying. It sounds so morbid and I kind of still am but not in that exact sense. I'm only afraid of dying if I haven't achieved all I want to achieve before I die. I want to make a difference to people's lives, not just my own. I'm also scared of spiders, which I think most people are. It's just the legs that get me; if a spider has huge legs, then I'm out of there. They can keep the house. 7. How long did it take you to pen the first of the Abyssal Sanctuary books? Well, I first had the idea of the Abyssal Sanctuary series in February 2008 but I didn't actually start writing it until November 2009. I completed the first draft in January 2010, then I hated it, so I started a new one in February 2010 and stopped quarter of the way through in April. Then May 2010 I started the third draft which I completed a year later and actually liked. I liked it enough to send it out to some agents, but it was rejected though one agent in particular said she enjoyed the material. That was when I knew I was on the right track, so I changed the name from Urban Legends to Abyssal Sanctuary in April 2012 and I wrote the fourth draft from May to January 2013. Then I did the final draft from June to September 2013. Something had been missing from the four drafts before the final one and I realised I needed to change the format of the book. For the fifth draft, I split the book into seven parts with five of them being dedicated to a main character, which I found easier for me and readers to keep up with all of the storylines that go on. That was what made me excited about the final draft and ready for me to self-publish in October 2013. So long story short, it took me nearly four years to write the first book and nearly six years since planning it. 8. What was one thing you did to keep yourself focused and writing even when you had writers block? I suffered from writer's block multiple times during the whole process, mainly while writing the first four drafts. I realised that when I had writers block, it was because I wasn't excited about the story and I fell in a slump, wondering if I was doing the right thing and if it would lead to anything. I think once you have the first book out and you know people want to read the second, then writers block becomes a lot more rare. I didn't hit writers block during the fifth draft because I kept feeling excited about the story and I was just getting excited about releasing it to the world. Whenever I started to feel a little bored with the story and the first signs of Writers Block developed, I would change the story. 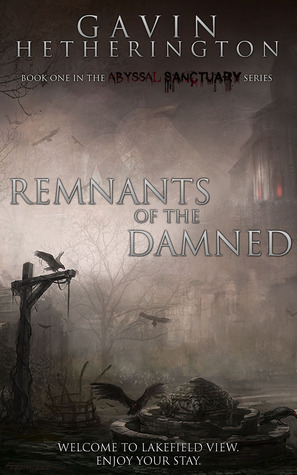 Now when I feel a little uninspired to write, I just look at some of the wonderful reviews for 'Remnants of the Damned' and it encourages and motivates me to continue writing. Just always keep that inspiration. Another helpful tip too, when I was writing the first book, I would keep the first Harry Potter book by my side to keep looking at for inspiration. 9. In your coming works will you stick with horror or branch out to other genres? For now, I'm focusing on the Abyssal Sanctuary series which will continue to deal with horror and other genres. 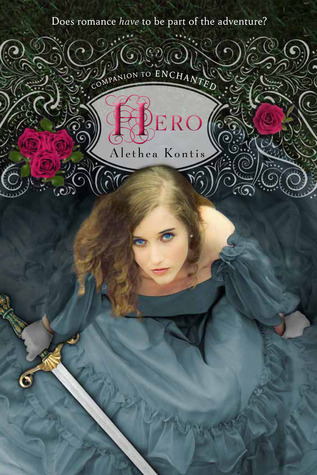 I'm planning around eight to nine books in this series so that will keep me busy for a while. Lately I have been having ideas for other standalone books not associated with Abyssal Sanctuary. I would love to write a dramatic piece of literature and I have several ideas for that. I have an idea for a dramatic romance novel, though romance is so not my forte. Neither was horror, but I imagine romance being so much harder to write. I may work on those while writing the Abyssal Sanctuary series if I'm not too busy at University and other things the next few years. Once Abyssal Sanctuary is over, I would love to start a fantasy series I've been thinking of. It's in very early stages so nothing is set in stone yet, but I'm actually excited to start writing that too. My advice to aspiring authors is to keep writing. Honestly, I didn't think I would get to where I am today and I gave up multiple times. Don't give up. Write the story you want to write, but make sure you are 100 percent happy with it before you release it. Make sure you are writing for yourself. Once you have achieved that and you release it, that will make the mixed feelings about getting reviews so much easier. Nobody wants bad reviews, but they will always come. Just remember they are not personal and keep a positive attitude about it. You wrote that story for you and you released it for you. You achieved that, so don't let bad reviews get you down. I don't let them bother me because everyone is entitled to their opinion and I knew my book wouldn't be universally praised. Always keep positive and you will be so much happier. Thank you, Gavin, for the fantastic interview! Keep a lookout for the review of "Abyssal Sanctuary: Remnants of the damned." Coming soon! Thank you so much for being my first ever interview person (I can't think of the actual word for it, watch it be something silly I should remember haha). Honestly you have been so good to me, thank you so much!